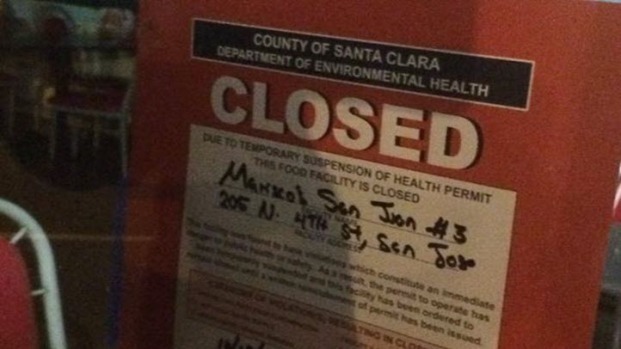 At least 30 people got sick after contracting an infectious bacteria called Shigella at a San Jose seafood restaurant, prompting the Santa Clara County Public Health Department to suspend the eatery's permit. Of those, 11 were taken to the intensive care unit at hospitals, according to the Santa Clara County Public Health Department. The patients ate at the Mariscos San Juan restaurant in at 205 N. Fourth Street in downtown San Jose on either Friday or Saturday, according to authorities. 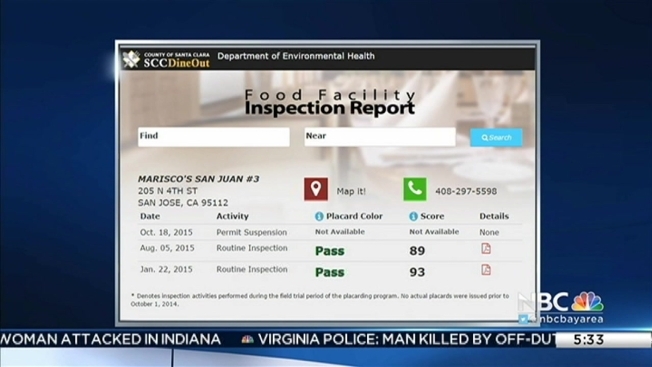 Santa Clara County food inspection reports shows the seafood restaurant had its permit suspended on Sunday. Shigellosis, an intestinal infection caused by the Shigella bacteria, cause symptoms that include fever, abdominal pain and diarrhea. The bacteria can be treated with antiobiotics. Officials said 11 people are hospitalized in intensive care after contracting Shigella at a San Jose restaurant, prompting the Santa Clara County Public Health Department to issue a warning. Terry McSweeney reports. Andres Guera ate lunch at Mariscos San Juan No. 3 on Friday. The pain began soon afterward. "My fever was at 104 -- that's when vomiting started," said Guera, who was still recovering late Monday after spending the weekend in the intensive care unit at Kaiser Permanente hospital in Santa Clara. "The first thing they did was put seven liters of fluid in me." Guera soon found out he was not the only one sickened after an emergency room nurse told him "it was like a Hollywood movie down there with all the patients coming in." Dr. Sara Cody, who serves as a Santa Clara County health officer, said Shigella can be spread by people who do not wash their hands after using the bathroom. "(If you) don't wash your hands and have just a few bacteria, and then touch and serve food, that can spread Shigella," Cody said. There are three Mariscos San Juan restaurants in San Jose. The original restaurant on Willow Street had its permit suspected in August, county records show. The second restaurant on Senter Road has never been cited this year. In the last six months, online county records show that 81 restaurants have had their permits suspended due heath code violations ranging from improper sewage disposal, temperature control and employee record keeping. For a list of all Santa Clara County restaurant food inspection reports, click here.To report a case of Shigella, click here or call 408-885-4214.